5% of all Sudden Cardiac Arrests will occur in the workplace - 100 people every week in the UK alone. Sudden cardiac arrest can strike virtually anyone, anywhere, anytime and often without warning. In fact, 13 percent of workplace fatalities are from sudden cardiac arrest. With every minute of delay from the onset of Sudden Cardiac Arrest to defibrillation; the chances of survival diminish by 10%. After 10 minutes the chances of survival are almost zero and with the average response time of emergency services in the UK being 10 minutes, the outlook is grim. 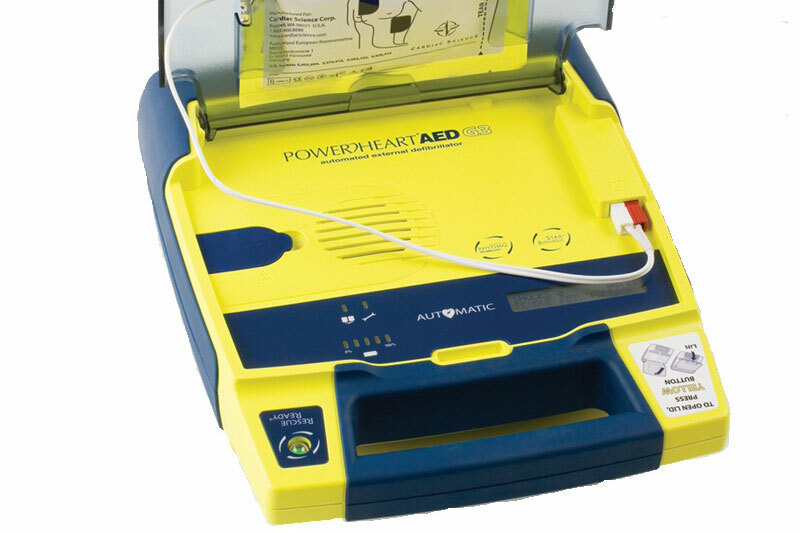 With our purchase of the Powerheart G3 AED and associated staff training we hope to make the outlook a lot brighter, should the situation arise - although this is one bit of high-tech kit that we're quite happy to keep unused.